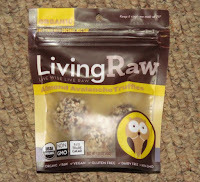 This morning's Almond Avalanche Truffles were from Living Raw (Franklin, TN). 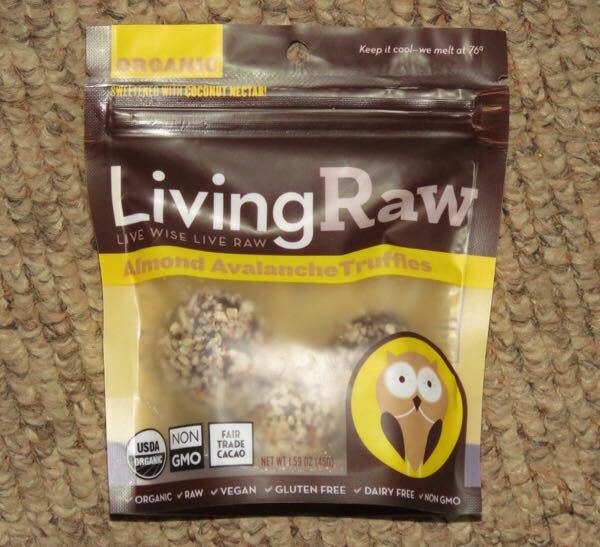 This package of three Organic, Raw, Dairy Free, Gluten Free, Soy Free, Vegan and Paleo Friendly rounds were comprised of soft, almost velvety, chocolate truffle centers (organic cacao powder, cacao butter and coconut oil), and were coated in bits of toasted almond. 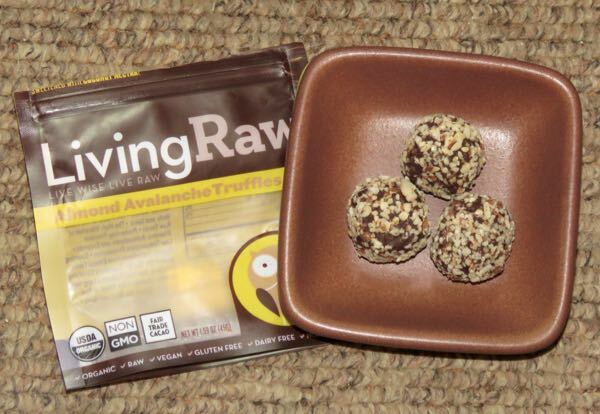 The truffles were sweetened with organic coconut nectar; and they were sweet without being overly so.